The museum’s P-51C Mustang (P-51C-10NT) is painted in the markings of Boise, ID native and 5 time WWII Fighter Ace Lt. Col Duane W. Beeson. 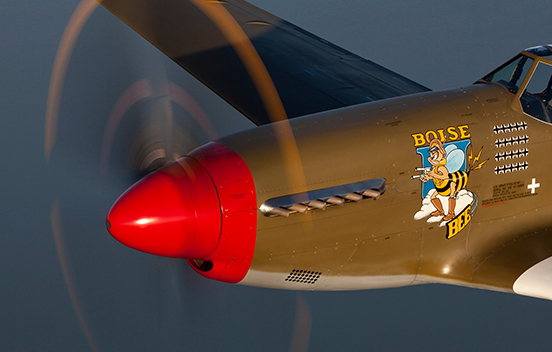 The “Boise Bee” and Beeson flew in the 334th Fighter Squadron, 4th Fighter Group, Eighth Air Force in England. A total of 1750 P-51C’s were built before moving production to the P-51D and subsequent variations. 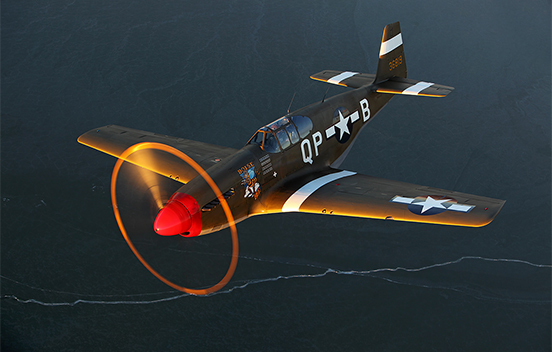 Among one of the most famous fighters of World War II, the P-51 Mustang has its roots in both Britain and the USA. Originally overlooked by the USAAF, the P-51 did not see action with American forces until March 1943. Once its full potential had been developed, the U.S. realized that this aircraft had been ignored for far too long a time. With the forging of the American airframe with the British Rolls-Royce Merlin engine, it would be unmatched by any other piston aircraft of World War II. 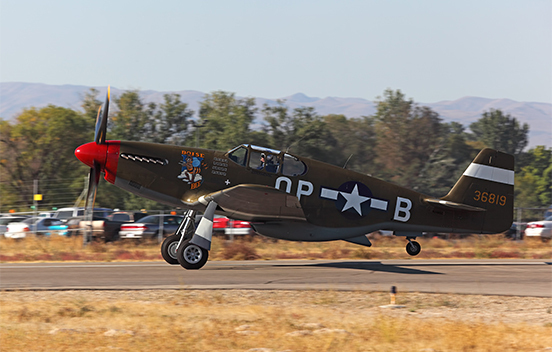 The museum’s P-51C was restored to flying condition and made it’s first post-restoration flight in 2010. This aircraft can been seen competing in the Reno Air Races.